The new E71 makes it possible to work with different temperatures for each group. Thanks to the new FAEMA hydraulic circuit with a GTi infusion control system, maximum thermal stability during extraction is guaranteed, a crucial process to ensure perfect in cup quality. 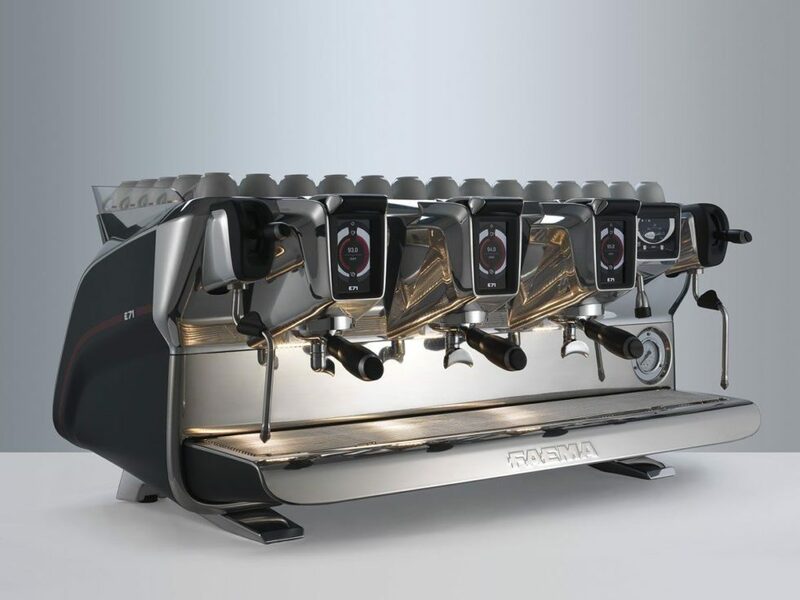 FAEMA E71 also offers the user the choice of working either with the manual lever or by making a selection on the touchscreen; a dual interaction system for the barista in a machine that represents a completely new innovation in the world of traditional machines. Once the machine has been positioned directly on the store counter, the reduced height of the machine makes it possible for the barista to maintain visual contact with the customer for a face to face experience when preparing the coffee.